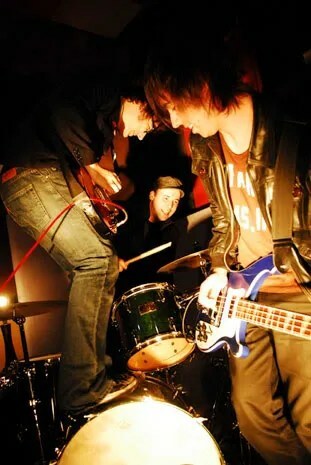 With the line-up cemented, the band were set to develop their sound into what the band say is today something ‘really versatile, and able to cross genres.’ This will be most evident on the Spun Rival’s debut EP, set for release in early 2008. But for Rich, it has been important to shape the band in a way which is ‘organic and natural.’ After playing in a previous band under a manager who made him feel ‘more like a marketer than a songwriter,’ Spun Rivals was the chance he needed to produce ‘pure music’ again. Spun Rivals are playing in Melbourne and Sydney in support of ‘Coffee Breath’ and the forthcoming EP. Details are available at www.spunrivals.com. From Buzz Magazine, January 2008.